With only two months left before we reach the upcoming conclusion for Starfinder Society's inaugural season, the team is excited to preview our upcoming scenarios. April brings us a new Tier 1-4 scenario following up on a past (repeatable) adventure and a Tier 5-8 scenario that brings a certain faction's ongoing effort to a conclusion. First off, let's hear from Organized Play Lead Developer John Compton to talk about what's in store for our first scenario. Starfinder Society's success stems in large part from the ease with which the setting folds in modern touchstones like reality TV, corporate mischief, rock bands, and nature conservancy. These themes, along with classic sci-fi tropes of exploring new worlds, meeting weird aliens, and making pew-pew sounds during starship combat, brought us a wealth of stories over these past two years. Yet there is at least one adventure concept that Pathfinder Society's mastered that is less represented in Starfinder: the dungeon. 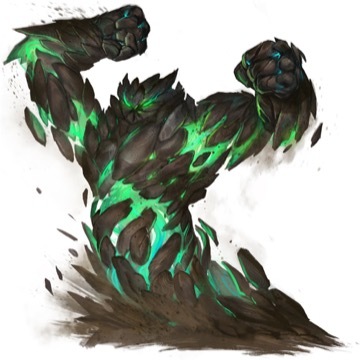 For the Tier 1-4 adventure Starfinder Society Scenario #1-36: Enter the Ashen Asteroid, we wanted the opportunity to explore a small site with big implications, all the while providing a fun break from the ongoing Scoured Stars storyline to explore the Pact Worlds. Fortunately, veteran author Larry Wilhelm was raring to go, creating an abandoned duergar complex hidden within the Diaspora. The dwarven mining consortium, Ulrikka Clanholdings, began excavating the asteroid AA-126D only to find the unholy iconography of Droskar, the exiled god of cheating, slavery, and toil. Although they'd normally obliterate the site, a longstanding contract with the Starfinder Society (facilitated by Venture-Captain Thromkendal) grants the Society a brief window to survey sites like these, identify any critical archaeological context, and make recommendations regarding further action. But there's far more than dusty halls and barren stone resting under this asteroid's surface, and it will take all the PCs' mettle to make it out! Our second April scenario is one I'm particularly excited to highlight! Starfinder Society #1-37: Siege of Civility is a partial sequel to another siege-related scenario. Written by Kalervo Oikarinen, this higher-level scenario introduces us to a new civilization within Near Space, one that the PCs may have tangled with in the past. A social scenario at its core, Siege of Civility offers PCs a chance to influence a swathe of new NPCs and at least one familiar (and not necessarily friendly) face! Finally, I think everyone should be happy to know that successfully completing this scenario is going to bring a certain Wayfinders project to the finish line, just in time for what's coming up. With that, we've got the Starfinder Society Season One's last month to look forward to. The culmination of over a year of effort comes to fruition as we enter the last two scenarios before a climactic interactive special. If you're interested in the evolving relationship between two popular faction leaders, or the first punch in the all-star bout that's going to take us back to the Scoured Stars for one last mission... well, be sure to stop by next month! Looking for adventures? Check out our preview of the latest Pathfinder Society scenarios! 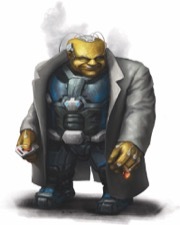 New March Starfinder Society Scenarios! Starfinder Society continues its momentum towards the end of its first season with two new releases and the Organized Play team is excited to show them off! This month, our players can expect to learn more about the developing jinsul threat, while also getting a chance to "take a break" and go on a good old fashioned treasure hunt. 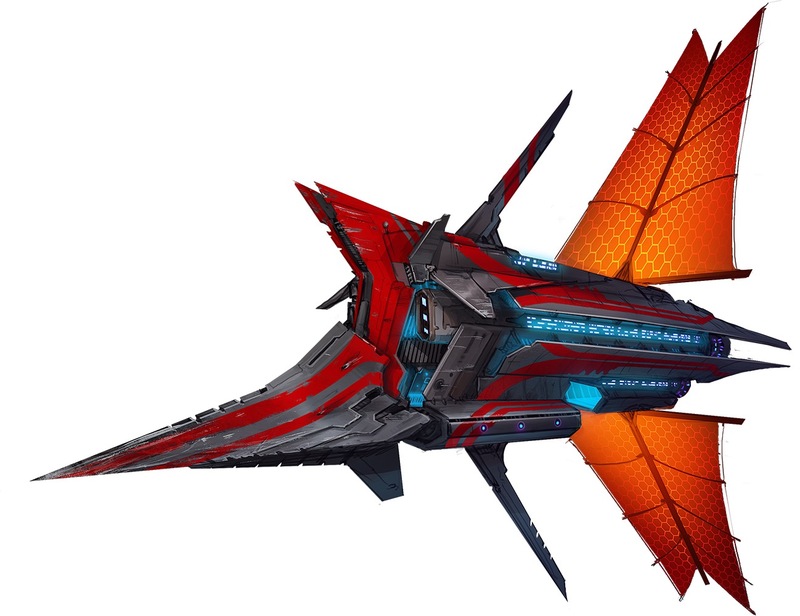 Starfinder Society Scenario #1-34: Heart of the Foe is a Tier 3–6 joint mission where two First Seekers lead several dedicated teams of Starfinders (including our intrepid PCs) to the jinsul's adopted homeworld. Nicholas Wasko, who some of you may recognize from Seers of the Drowned City and RPG Superstar fame, stepped up to write this action-packed scenario that looks deep into jinsul history. What excites me about this scenario, on top of the sheer amount of thematic content contained within, is that Heart of the Foe continues our ongoing season metaplot and introduces some of the final elements leading to our upcoming interactive special; so be sure not to miss out on this important scenario! Next up, Starfinder Society veteran author, Mara Lynn Butler, returns to give us our first higher tier (Tier 5–8, in fact) Acquisitives scenario. Starfinder Society Scenario #1-35: Rasheen's Riches acts as a great standalone scenario and the perfect break for those players and GMs who maybe find themselves wanting to forget the terror of the jinsuls and corporate conspiracies, and just travel somewhere unknown in search of some treasure! 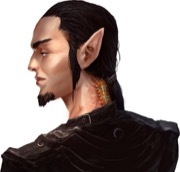 Sometimes a story comes out so well in outlining and its final turnover that you know it should have one or more follow-ups, and I suspect that this scenario won't be the Society's only adventure following the trail of the scenario's titular character, the intrepid explorer, Jelev Rasheen! 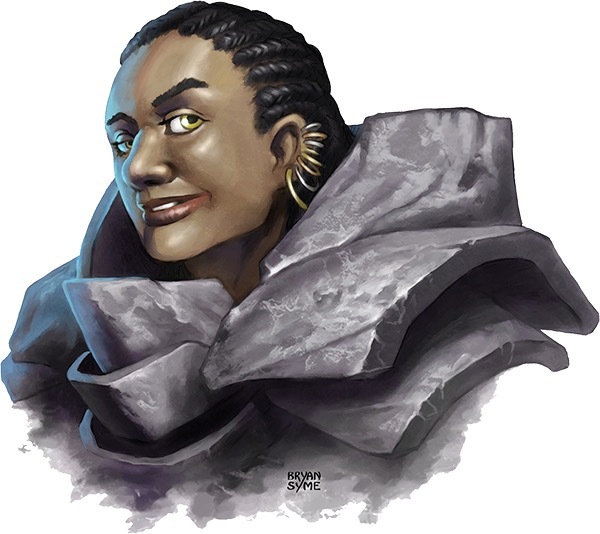 If you're interested in learning more about this early Drift travel explorer, her exploits, and how your character fits into them, be sure to find a seat for this scenario at your local gaming group (or perhaps, a digital seat in our expanding online community). Alright, that's all the time I can spare from the pre-convention season word mines. Looking forward to next month's previews, we'll take a glimpse into what the duergar have been up to in Starfinder and get a sneak peek at our second major social scenario! February's scenarios begin the lovely countdown to what I like to call "Convention Season" which, for the Starfinder Society Roleplaying Guild, really kicks off at Origins. Luckily, February's scenarios also provide an excellent new recruitment option to our GMs in the field, and a scenario that continues a plotline many players have (rather vocally) expressed interest in. So, how about we dig into this month's scenarios! Starfinder Society #1-32: Acts of Association, like many scenarios, is the brainchild of a conversation Organized Play Lead Developer John Compton and I had during the course of a meeting. The Starfinder Society runs missions on far-off planets all the time, so it stands to reason that they would need to negotiate contracts and treaties to allow for such exploration, right? This month's first scenario is a repeatable scenario that delves into what the Society needs to do to secure some of those agreements. With randomized missions and a randomized visiting dignitary, Acts of Association provides a whole lot of replayability and what I expect to be even more memorable stories as a result of these randomized elements. Written by rising freelancer, Scott Young (who also wrote Pathfinder Society #10-03: Death on the Ice and contributed to Pathfinder Society #9-16: Fallen Family, Broken Name) I suspect this scenario is going to be the cause of a lot of stories that I'll be hearing about in the upcoming "Convention Season." Our second February scenario, Starfinder Society #1-33: Data Breach, brings us back to an investigation that's been happening all season long. Players and GMs alike may want to brush up on the events of Starfinder Society #1-07: The Solar Sortie and Starfinder Society #1-14: Star Sugar Heartlove!!! before tackling Data Breach, which follows the ongoing investigation into a conspiracy against the Society. Written by Pathfinder Adventure Path and scenario veteran alike, Jim Groves (who has a bibliography too long for me to link), I was astonished at some of the excellent encounter mechanics included in this scenario. For players who want a different type of scenario challenge, all taking place with the backdrop of breaking into a high-security data facility, Jim's got you covered! On a more personal note, it's been great to see some of the story arcs coming together, and I am exceptionally excited to see the reactions of players after playing this scenario as it leads into the upcoming Starifnder Society #1-38: The Many Minds of Historia. With the month of January a whole new year begins, but we're still making our way through the final months of Starfinder Society's first season. I'm excited that this month starts a very real countdown of sorts to our end-of-season finale interactive special. While the team isn't quite ready to start talking about our second interactive (more later, I promise) there are some major scenarios coming up this month that start us towards our season's end. Let me start by saying, that despite its name, Starfinder Society Scenario #1-30: Survivor's Salvation is not a scenario that continues the story of Salvation's End (though we'll be going back to that place in due time). Author, Kiel Howell, presented this scenario to the organized play team as an exploration into something that we've got a lot of questions about since the events of the Scoured Stars: how Starfinders cope with the stresses of their occupation. Called by Zigvigix to investigate the disappearance of a fellow Exo-Guardian who spent the better part of a year within the Scoured Stars, the PCs get to see some topics addressed that we don't tend to see in our typical scenarios. Now, it wouldn't be a real scenario without a threat and a bit of a sci-fi twist to things, so for those more interested in pulling out laser guns and shooting at threats… well, Kiel's got you covered! Continuing to explore the repercussions of the Scoured Stars, Starfinder Society Scenario #1-31: Treading History's Folly has the PCs retrace the steps of First Seeker Jadnura, returning to the site where he uncovered one of the mysterious Tear relics that would lead to the Society into the Scoured Stars. Vanessa Hoskins brings us a delightful look into Jadnura's past actions, as well as information that should delight those who've been following the Scoured Stars story over the course of our first season. There were moments when developing this scenario that I had chills from some of the information we were finally getting out into player and GM hands. Similarly, this scenario also goes on to remind people of a few other mysteries that we intend to showcase over the remaining months leading up to our finale interactive. To further spur on our contingent of dedicated Starfinder conspiracy theorists, let me share one other lovely new piece of art. I can honestly say it's going to factor in quite a bit over the course of our coming scenarios. Whatever could it be? Alrighty, that's it for January's release! As I write this, I'm going through development on February's scenarios and am already excited to talk about those. Though next month won't continue the Scoured Stars story as much as this month, I'm excited on some of the other storylines we get to follow-up on. Expect to hear back from me in a month with an update on the Dataphiles ongoing efforts and the appearance of a well-known Dead Suns Adventure Path character asking the PCs for help with a bit of a diplomatic endeavor. We're approaching the end of a glorious Starfinder Society year, and we wanted to make sure we ended December with a narrative bang. It's amazing to look back at everything we've accomplished. Not only did 2018 kick off with our introduction to morlamaws (yes, it's really only been a year), but it's also featured reality television events, much-anticipated pop concerts, and wildlife benefit fundraisers. We also saw the return of an ancient starship from Pathfinder Society, debuted Starfinder Society's first multi-table interactive special, and scaled up to two scenarios a month. Needless to say, it's been a busy year, and that calls for some more fun adventures. Hailing from the Tier 1-4 corner of the galaxy is Starfinder Society Scenario #1-28: It Rests Beneath by Paizo editor Jason Tondro. When Thursty and I brainstorm scenario concepts, we often look at what themes we've featured recently to include lots of variety, and we've had a fair number of "Meet aliens, study aliens' culture, potentially fight aliens" scenarios. These are good fun, yet we realized we hadn't really let the Starfinders escape into the unexplored wilds to study geographic features and planetary anomalies—in this case a strange mesa that occupies around 85,000 square miles! You'll be teaming up with the solitary research outpost (including Dr. Mora Motressi, illustrated here by William Martin) and roving the rocky surface in exploration buggies in order to perform some honest-to-goodness science—it makes my archaeologist heart so proud. This scenario has the Faction (Wayfinders) and Vehicle tag. Just don't expect this trip to be without its dangers! As a hint of what's to come, I'll point out that this scenario has a cheat sheet detailing the basics of vehicle combat for those who like that sort of thing, including how to adjudicate landing your truck on top of an enemy creature. Also, inspired by a conversation I had with a player at Origins, this scenario doesn't just let you play around in borrowed exploration buggies; if you want to bring your own Large vehicle to test out its engine on a distant world, you're welcome to do so! Get out there and explore! Speaking of exploring new territory, Thurston Hillman's here to tell us about the campaign's first ever Tier 7-10 scenario. Starfinder Society #1-29: Honorbound Emissaries is something of an all-star special event, which is perfect for our first Tier 7-10 scenario. Beginning with a meeting of several prominent NPCs, including two vesks from very different backgrounds and an android we're still not quite sure of the whole story about, this scenario brings the PCs into the aftermath of recent events in the Scoured Stars. This confluence of major story and major NPCs was a perfect mix of content to pass on to veteran author Jenny Jarzabski. Jenny is known in Starfinder Society circles for the introduction of a particular NPC that players love to hate or hate to love from Starfinder Society #1-07: The Solar Sortie, and that talent of making memorable NPCs really shone through in her turnover. Luckily, I managed to beg some of Jenny's freelance time shortly after her work on her most recent release, the second adventure in the (soon to be sanctioned) Signal of Screams adventure path! While I don't want to spoil too much about this scenario, let's just say that it sets the stage for our remaining Season 1 scenarios and sets us on a path for a climactic event in our eventual closing interactive special for Starfinder Society's inaugural season. OK, maybe I'll share one more thing: a piece of artwork that I think GMs looking to run or re-run a certain early season scenario might find very useful! For players out there, you may want to play this scenario if you haven't got the chance yet… it might be useful! This scenario has the Faction (Second Seekers [Luwazi Elsebo]) tag. November's a cold month up here in the wilds of Canada, and as I developed this month's scenarios, I found that I developed a growing obsession with them. While I didn't quite grow a beard or batter down any doors with axes, I certainly came to appreciate this month's scenarios for the important plot elements they introduce into the Starfinder Society Roleplaying Guild. So, let's dive in! There's some history—some OLD history—to November's second scenario. 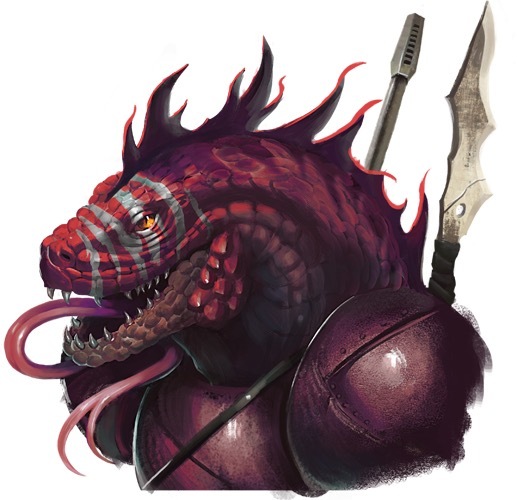 Starfinder Society Scenario #1-27: King Xeros of Star Azlant harkens back to a Season 0 Pathfinder Society scenario: Pathfinder Society #20: King Xeros of Old Azlant. The roots of its more futuristic successor come from the Organized Play team monitoring threads about what fans would like to see come back in Pathfinder Society, especially during the ramp up to Pathfinder Second Edition. 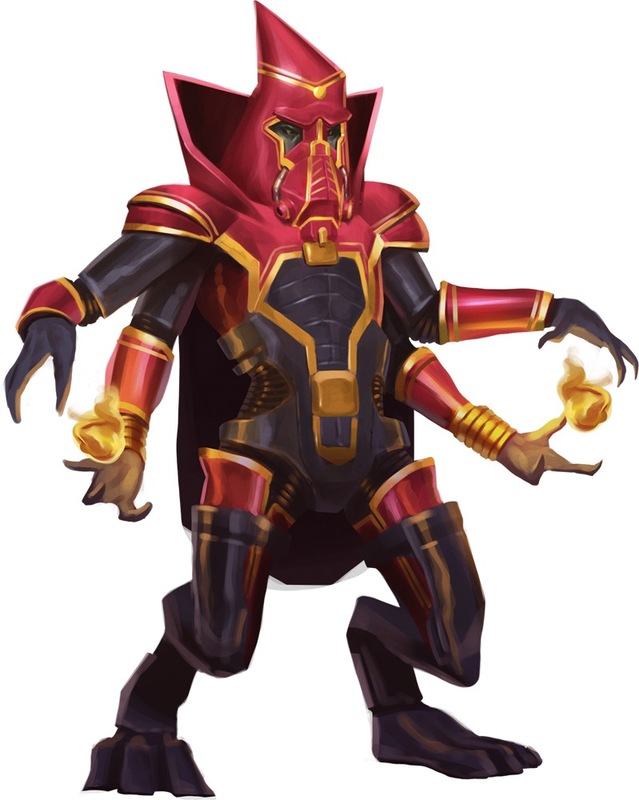 The King Xeros was one of those things that fans kept bringing back up, and while it didn't find a place in Pathfinder Society's action-packed tenth season, I was eager to scoop it up for use in Starfinder Society. I always enjoy reading our forums and catching up on commentary to get a sense of what things interest our fans. That does it for this month's rather intense scenario offerings. Look forward to next month, when we get to experience a new Tier 1–4 adventure that brings us back into the role of explorers on the frontiers of the universe. Also, if you've been following the ongoing Scoured Stars storyline, our first Tier 7–10 makes its appearance next month, and I have a feeling that we'll need our best and brightest Starfinders to handle the threat that's rising! October brings with it all manner of spooky gifts! While this month's Starfinder releases may not as overtly spooky in nature as some past releases, I can assure you that both scenarios involve some scenes that scream for GMs to ramp up the tension. Let's dive into this month's offerings. Our first scenario for this month, Starfinder Society Scenario #1-24: Siege of Enlightenment really comes from a conversation I had with Organized Play Lead Developer, John Compton, regarding other civilizations near to the Pact Worlds. We both agreed that we wanted to show some minor powers throughout the region and bring in future allies/foes we could later call upon. This scenario showcases two previously unheard of powers in relative proximity to the Pact Worlds and a growing conflict that threatens to destroy them both. Tineke Bolleman, who you may recognize as one of the quest authors from Starfinder Society Scenario #1-16: Dreaming of the Future jumped right into the task of creating two new space-faring civilizations and the I think the results speak for themselves. Fans of more traditional Pathfinder won't be disappointed, as this month's Tier 1-4 scenario also brings a fan favorite species into the Starfinder limelight: hobgoblins! Now, Organized Play Lead Developer, John Compton, is going to take some time to tell you about this month's second scenario! For many months, Adrian Ng has been the behind-the-scenes champion of organized play, which is to say he's taken the lead in editing most of our scenarios. As you might guess, he's very familiar with not only our style but also our stories, and the time was right for him to show off has narrative skills with Starfinder Society's latest repeatable scenario, Starfinder Society Scenario #1-25: The Beacon Code Dilemma. Not only does this explore some of the Society's past and the machine god Triune's lore (including an influential priest, pictured here), but it's also a fun romp through space in search of a lost starship and priceless artifact—classic! Adrian's included a lot of fun ways to vary the experience, providing fun ways for the GM to both personalize some of the discoveries and shake up the combats. Be sure to check out this Tier 3-6 scenario. So with all that, I think you can see why we're pretty darn excited for October's offerings. Stop by the blog next month, when we'll be previewing the next set of scenarios, including our first scenario for a brand new faction that some of you may already be familiar with. Speaking of familiarity, fans of Pathfinder Society are in for a treat as we explore a Starfinder follow-up to one of Pathfinder's earliest scenarios! Gen Con 2018 Starfinder Society Releases! There's a lot to talk about this blog, so we're just going to jump right into the exciting set of releases coming out in just a few weeks. 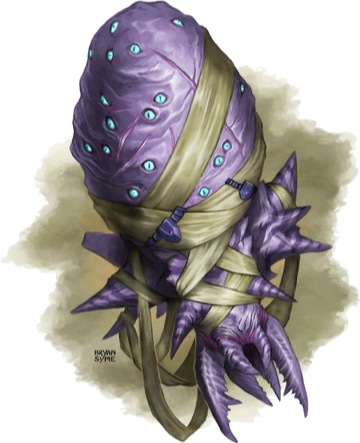 Starfinder Society Scenario #1-18: The Blackmoon Survey, by Paizo veteran Jesse Benner, showcases the Starfinder Society's first foray to the undead world of Eox. When Starfinder agents and undead workers start disappearing from a Starfinder-operated excavation site near the infamous Blackmoon mountain, it's up to the PCs to make the trip to Eox and uncover what's happening. This Tier 1-4 scenario involves heavy investigation along with some interesting encounter set-ups that the Organized Play team is very curious to hear reactions about. This scenario has no special scenario tags. The second July scenario is our second venture into the (currently) lofty heights of Tier 5-8. You might recognize Matt Duval's name from several prominent Pathfinder Society Scenarios, and he did an excellent job putting together Starfinder Society Scenario #1-19: To Conquer the Dragon[/url]. Sometimes, I tend to obfuscate what happens during the course of a scenario, but I think that this particular entry might be just a little bit self-explanatory. 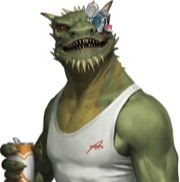 I mean, sometimes the PCs just need to punch a dragon in its smug face. Also, there's some extra special bonus lore points for PCs who come into this scenario having played Starfinder Society Scenario #1-13: On the Trail of History. This scenario has the starship tag. Our next Gen Con release (technically an August release, but who's counting?) is a return to a fan favorite. 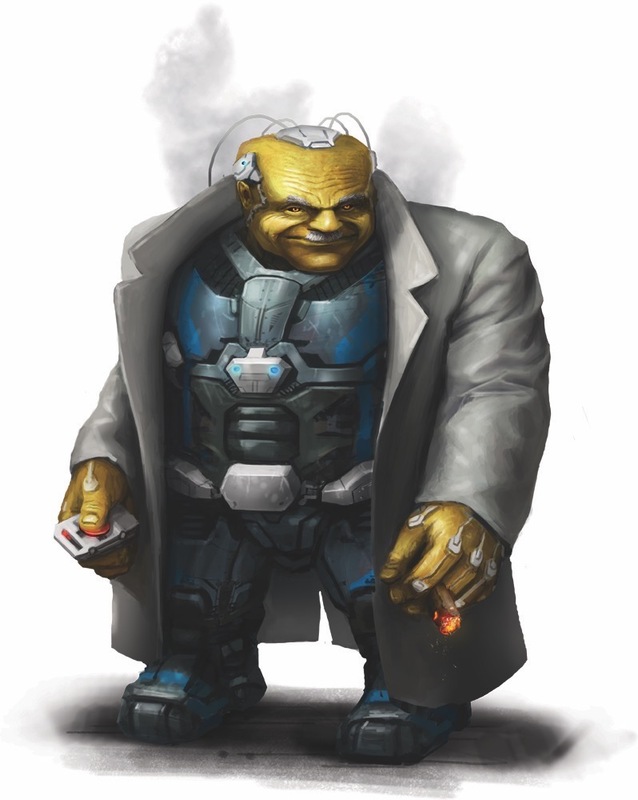 Starfinder Society Scenario #1-20: Duskmire Accord 9 is a pretty unique Tier 1-4 scenario that resumes the Society's ongoing exploration of the megacomplex known as Salvation's End. The scenario's author, Brian Duckwitz, maintained the ongoing momentum that the campaign has had with its exploration of Salvation's End. I don't want to say too much about this scenario, but I think it's ok to just let the art speak for itself. Finally, Gen Con has us return to a world we haven't set foot on since last year: the ghibrani homeworld of Elytrio. Written by Paizo's own, Jason Keeley, Starfinder Society Scenario #1-21: Yesteryear's Sorrow directly follows up on events from Starfinder Society Scenario #1-03: Yesteryear's Truth. 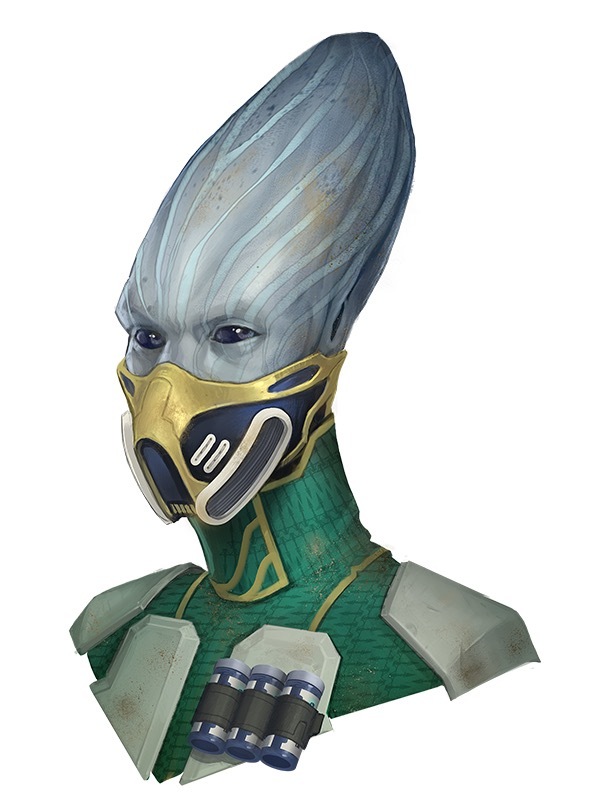 The results from countless tables were tabulated to decide the future of the ghibrani people, and that future gets a bit of a push in this scenario… along with a heavy look into the past of what has become a fan-favorite species in Starfinder! Be aware that playing the previous scenario is not required, and in fact, this scenario was intentionally written so it could be equally enjoyed by characters who haven't previously interacted or learned about the ghibranis. This scenario has the Faction (Exo-Guardians) tag. Whew! With Origins 2018 only days behind us, I wanted to take some time to talk about the scenarios that just had a pre-release at that event and will be coming out this month. Unlike most releases, this month consists of three new Starfinder Society products, although one of them is a unique event and isn't available for open play just yet. Starfinder Society #1-16: Dreaming of the Future is comes to us from four distinct and skilled new authors. This quest pack contains a set of four quests taking place throughout the Pact Worlds. The PCs travel to Aballon, the Diaspora, Verces, and even the moons of Liavara in search of a hidden repository of lost knowledge. 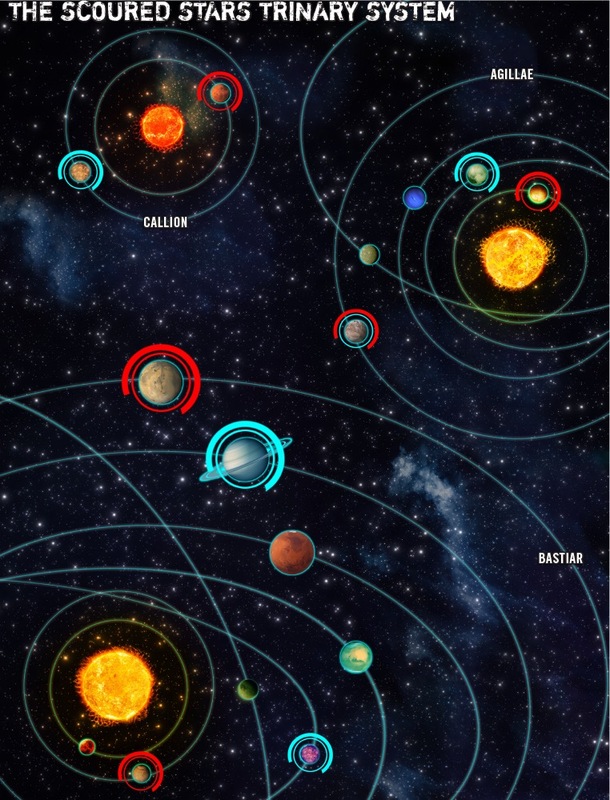 Each quest runs about an hour and can provide shorter gaming experiences for local groups looking for ways to introduce new players to Starfinder. As mentioned, we have some new authors involved in these projects and I'd like to be the first to welcome Natalie Kertzner, Nate Wright, Sasha Lindley Hall, and Tineke Bolleman into our growing family of Starfinder Society freelancers! We're also pleased to feature excellent art by Donald Crank and Nicolas Espinoza, the latter who depicted this enterprising ikeshti to the right. This scenario has the Quest, Repeatable, and Starship tags. Our next release is something special for players who've been following the ongoing Scoured Stars season storyline. Veteran freelancer Larry Wilhelm brings us another epic entry into the Starfinder Society Roleplaying Guild with Starfinder Society #1-17: Reclaiming the Time-Lost Tear. As our first Tier 5-8 scenario, you can expect a lot of challenging encounters and exploration of heightened threats—including those illustrated by Graey Erb. I suspect many a player will be uttering the dreaded line, "it could be worse." While far from the final installment in our ongoing Scoured Stars storyline, this tale of adventure and exploration leads directly into our final preview product. Starfinder Society #1-99: The Scoured Stars Invasion, by well-known Paizo freelancer Mikko Kallio, saw its worldwide debut at Origins. This event is big, as in we're talking trinary star system big. While describing much of this scenario would be a spoiler-ridden minefield, I am pleased to say that it's an event that helps shape the future of the campaign and begins to pivot the Starfinder Society Roleplaying Guild's (extended) first season. As a fan of modern television, I'd refer to this event as a strong "mid-season finale" that pays off many of our ongoing story threads, while also seeding some serious new plotlines into the campaign. For those interested in playing it soon, don't fret! There will be additional exclusive runs of this this event at PaizoCon UK and Gen Con 2018. Following Gen Con, this event becomes open for wider release at all qualifying events. If you're concerned about future scenarios spoiling the events of this interactive, we've got you covered—don't expect any major follow-ups to this event until the September releases! This scenario has the Exclusive, Faction (Second Seekers [Luwazi Elsebo]), and Starship tags. Well that's it from the Starfinder Organized Play team! We'd like to take an opportunity to thank the hard working staff, volunteers, and everyone who played Starfinder (or Pathfinder) game at Origins 2018 (and the fans who voted at the Origins Awards, naming Starfinder RPG the Fan Favorite RPG). While convention season is hectic and filled with long-nights, going to a convention always reminds me about what I really enjoy in our industry: the fans. Getting to talk to people all throughout the convention about Starfinder has re-energized me to get more done. I and the rest of the team renew our dedication in making the Starfinder Roleplaying Guild the best living science-fantasy campaign around. UK Games Expo and Renkroda Heartlove!!! Before I turn you over to Starfinder Society developer Thurston Hillman for a peek at May's scenarios, I'd like to highlight a couple upcoming non-US conventions other staffers and I are attending. Also, we are pleased Michael's blog last week about sanctioning the the Strange Aeons Adventure Path was so well received. While there was a slight glitch in the pdf attachment process, it was resolved and you can now download the sanctioning documents from the link above. I've spent the past few weeks previewing convention offerings at PaizoCon, Origins, and Gen Con. This week, let's take a peek at a conventions outside the United States. For those of you in the area, you can find lots of gaming goodness the to 1st to 3rd of June at the United Kingdom Games Expo in Birmingham, England . A group of Paizo staffers joins the local Organized Play community to bring lots of Pathfinder and Starfinder options. Come take a sneak peek at the Pathfinder Playtest by visiting the Paizo booth in the NEC Exhibition Hall. Space is limited, so be sure to visit early and secure a place. Meanwhile, the Hilton Ballrooms play host to a cornucopia of organized play offerings, including the European premier of the next installment of the modular interactive special Pathfinder Society Scenario #8-99C: The Solstice Scar, version C on Saturday night. For more information on this scenario, see this week's Pathfinder Society Scenario preview blog. Visit the UK Games Expo website to get a badge and sign up for events. We have a bunch of Paizo staffers, including Amanda Hamon Kunz, Cosmo Eisele, Dan Tharp, Erik Mona, Jason Bulmahn, Jeff Alvarez, and myself, flying in for the event and we hope to see you there! If UK Games Expo doesn't work into your schedule, consider attending PaizoCon UK July 20th-22nd at the Aston University Campus in Birmingham, UK. Come join designer Logan Bonner and I, along with UK and European venture-officers, in celebrating the 10th anniversary of PaizoCon UK by playing games, talking about your characters, and enjoying some English hospitality. I'll write more about this event in a few weeks, but you can get a jump on planning by visiting their website! With all the upcoming conventions, we need new scenarios. I'm turning you over to Thurston as he catalogs the delights instore for Starfinder Society players this month. Wow, it's already coming up on PaizoCon season! When it came time to plan out the two scenarios the Organized Play Team knew would take the first salvo of "convention season", we wanted to focus on some less conventional scenario archetypes. Starfinder Society #1-14: Star Sugar Heartlove!!! is an experience! Anything I could say about it would spoil that experience. I can say that it brings together a lot of things that people have enjoyed about our inaugural Starfinder Society season in a fun and exciting way. OK, fine, I can also say that it begins right before the sugar pop sensation, Strawberry Machine Cake, is set to perform a debut concert for their new album. Paizo's own Eleanor Ferron, the creator of Strawberry Machine Cake, exceeded even my ridiculous expectations when she wrote this scenario. I look forward to seeing the fan reaction to this. This scenario has the Faction (Dataphiles) and Faction (Exo-Guardians) tags. If this month's first scenario tells us anything, it's that the Organized Play Team can be swayed by fan reactions. Our next scenario continues this trend. Pathfinder Society veteran author, Andrew Hoskins, is notorious for scenarios such as Pathfinder Society #6-17: From Under Ice, Pathfinder Society #7-17: Thralls of the Shattered God, and Pathfinder Society #8-07: Tome of Righteous Repose. He approached me last year about writing for Starfinder Society and I was happy to bring him onboard with a new scenario. What he received was an idea madly brewed in a cauldron of ideas floating around the Organized Play Team. Of course, Andrew being the stellar author that he is, ran with our somewhat abnormal outline. Starfinder Society #1-15: Save the Renkrodas differentiates itself from our other May scenario by having a space dinosaur. Ok, Ok… the space the dinosaur is technically an alien lifeform called a renkroda (first detailed in Temple of the Twelve, written by Organized Play Lead Developer John Compton. 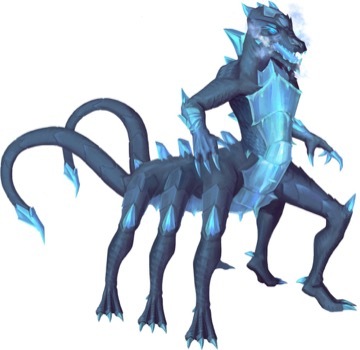 So while there was certainly already some love for renkrodas on the team, it wasn't until a particularly dedicated volunteer (who we'll be highlighting in next month's scenario preview) began espousing some detailed renkroda-related lore on social media, that we realized the time was right for a scenario. This scenario has the Faction (Acquisitives) and a new Vehicle tag that denotes the presence of a vehicle-related encounter. That's it for this month's preview. In June, you'll get to see a whole bunch of previews for scenarios debuting at our season launch at Origins Game Fair. For those of you attending PaizoCon this weekend in Seattle, feel free to come up and say hello! I'm on the Starfinder Society Organized Play panel on Friday and roaming the venue throughout the whole weekend. Either way, have a happy week of gaming! This April the Organized Play team releases our next set of Starfinder Society Roleplaying Guild scenarios. I wanted to take a moment to highlight these two unique scenarios. Starfinder Society #1-12: Ashes of Discovery written by Pathfinder Society veteran Crystal Malarsky and John Laffan, is our second Tier 1-4 repeatable scenario. The team knew we wanted another repeatable scenario early on to help new players have sufficient content to play alongside our growing stable of veterans. One element that was missing from our previous repeatable was the presence of a starship combat, so we made sure to include one in this adventure. This encounter should provide more introductory starship encounters for new players interested in dipping their feet into some of Starfinder’s more unique rules. Another element of this scenario that has me particularly excited is that it serves as a launching point for countless adventures, and while it doesn’t connect with some of our grander story arcs, it serves to set-up new relationships between the Starfinder Society and several Pact Worlds organizations. This scenario has the Repeatable and Starship tags. Our next scenario continues the ongoing Scoured Stars storyline, Starfinder Society #1-13: On the Trail of History by another Pathfinder veteran, Christopher Wasko. It’s hard to say much about this scenario without spoiling some of the events from last month’s Scoured Stars event, Starfinder Society #1-11: In Pursuit of the Scoured Past. What I can say, is that this is a story that goes back to some of the root of what sets Starfinder apart. Exploring a new world and interacting with new cultures, all while fighting against external threats that could bring the entire mission to an abrupt end! Another interesting tidbit, is that this scenario is the first that started connecting to our upcoming interactive special, Starfinder Society #1-99: The Scoured Stars Invasion. 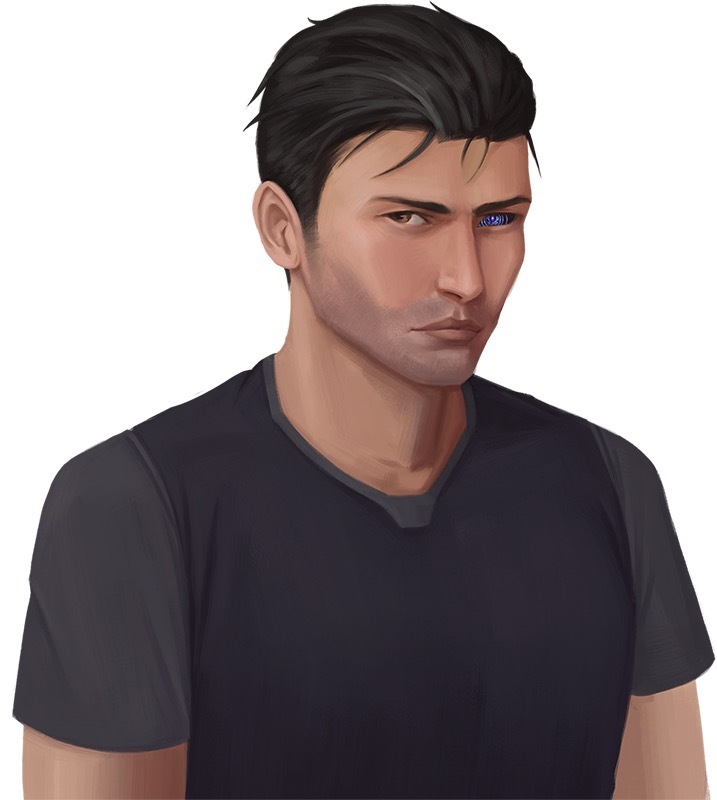 I know for a fact that Christopher and Mikko were thick as thieves in their dealings while writing their respective adventures, and some of the story connections are sure paying off as I sit here developing the interactive. 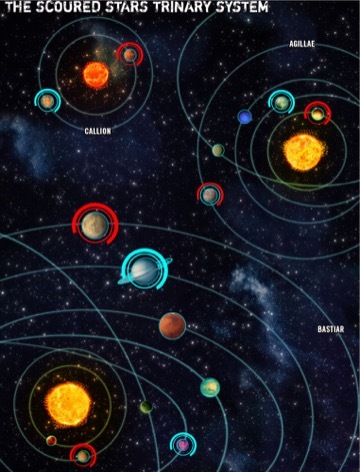 This scenario has the Faction (Second Seekers [Luwazi Elsebo]) and Starship tags and contributes to the ongoing year of the Scoured Stars storyline. Now, it’s time for me to get back to interactive special development! From the first, the organized play team envisioned Starfinder Society as a stand-alone campaign. So when discussing season rotation, we looked for a way to give the event spotlight focus. Putting the launch at Gen Con would overload the team and possibly diminish the impact of the Pathfinder Society season rotation. So we looked to another large event that would have the scope to handle a season premier. Origins Game Faire, June 13-17 in Columbus, Ohio, met our desires. Thus we brought Origins under the umbrella of Paizo-organized conventions. But not only Starfinder Society benefits from the expanded Paizo focus. 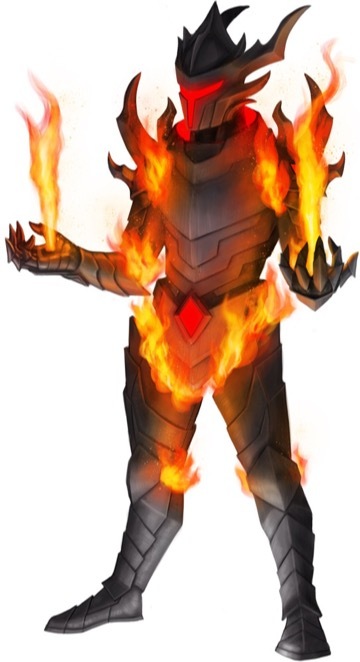 It also brings an opportunity to play Version C of the Solstice Scar ongoing interactive event and the chance to participate in some Pathfinder Playtest demos. Another benefit is added rewards for GMs, namely store credit for the paizo.com webstore, volunteer t-shirts, and a copy of a Pathfinder or Starfinder hardcover book, in addition to rewards offered in previous years such as hotel rooms and boons. With 35+ tables of scenarios and 5 tables of Pathfinder Playtest demonstrations running each 5-hour block, and 8 blocks scheduled between Wednesday and Sunday of the event, we need a goodly amount of GMs to run games and demos at the event. Anyone interested in volunteering should check out the Origins 2018 GM Application for a list of benefits and a questionnaire to register interest in volunteering. 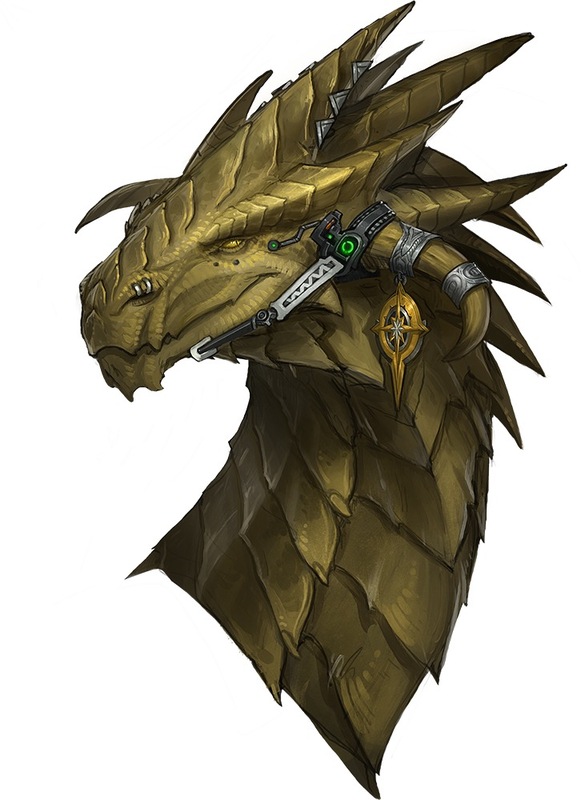 For GMs interested in running Pathfinder Playtest, please mark PFS Demo on the questionnaire. For those community members not interested in GMing, I invite you to join John Compton, Thurston, myself, and a couple other Paizo staffers at Origins to experience the adventure first hand. In the wake of all the excitement surrounding the announcement of the Pathfinder Playtest, there have been some questions about the future of Starfinder Society. Specifically, the team's been hearing a lot of questions about our plans for our upcoming interactive special and the transition into our next season. How about we dive into some answers? We're proud to announce our first Starfinder Society interactive special: Starfinder Society #1-99: The Scoured Stars Invasion. This event is Starfinder Society's first exclusive scenario, running at select events starting at Origins 2018 up until the end of Gen Con 2018. Shortly after Gen Con, we'll be making this special available to organizers and events across the world. To help with making sure our first Starfinder interactive is one to remember, we've brought onboard veteran freelancer, Mikko Kallio, to tackle this project. Mikko's had experience with writing interactive specials (with the well-received Pathfinder Society #9–00: Assault on Absalom), and the team wanted to get him on this project to help ensure we get a good start with our first Starfinder interactive special. I've been personally working with Mikko on this project and I can already tell that it's going to be a very memorable event! So with that announcement, you can probably tell that our interactive special is touching on some major elements for our ongoing storyline for Year of Scoured Stars. One important caveat, is that "The Scoured Stars Invasion" is not the end of the Year of Scoured Stars. Instead, we'll be going back to some of the earlier days of Pathfinder's organized play campaigns and extending our inaugural season into 2019. That's right, the Year of Scoured Stars will be getting a full additional year of content behind it. When the team sat down to discuss how we'd end the Scoured Stars storyline, we recognized that the abbreviated season made it difficult to give the full story that we thought the players deserved—something that changed when our schedule adjusted to 2 scenarios per month! We all agreed that extending the season by another year gave us the ability to really tell this defining introduction story for many Starfinder Society players. I wish I could say more, but I'm going to remain silent as there's a lot of major changes coming with "The Scoured Stars Invasion." Sufficed to say, the second half of Year of the Scoured Stars is going to be just as big, if not bigger, than the stories we've told over the past months. Now more than ever, the Starfinder Society needs new field agents; if you haven't had the chance to try out some Starfinder Society Roleplaying Guild games, I highly suggest taking a look. Between local games and our thriving online community of play-by-post and virtual tabletop games, there's probably never been a better time to get involved and experience the living campaign that is Starfinder Society! Time for me to get back to scheming. There's a lot more stories to tell and the Year of Scoured Stars is only just getting started! Convention season is ramping up and I'm working diligently to get everything scheduled and delivered as needed. If your expecting something for any convention, keep an eye on your inbox. Tune in next week for an update on GM stars, upcoming conventions, and other topics of an organized play nature. Starfinder Society, From the Streets to the Stars! March sees some major changes for the Starfinder Society Roleplaying Guild. This month, we transition to two scenarios per month—after all, we can't lag behind the adventure path line switching to one adventure per month! Luckily, the organized play team had contingencies for Starfinder's rampant success, and many of the stories we want to tell were based on a potential two scenario per month rollout. So, without any further rambling on my part, how about we take a peek at the March releases? Starfinder Society #1-10: The Half-Alive Streets written by Mara Lynn Butler, is our first scenario release in March. 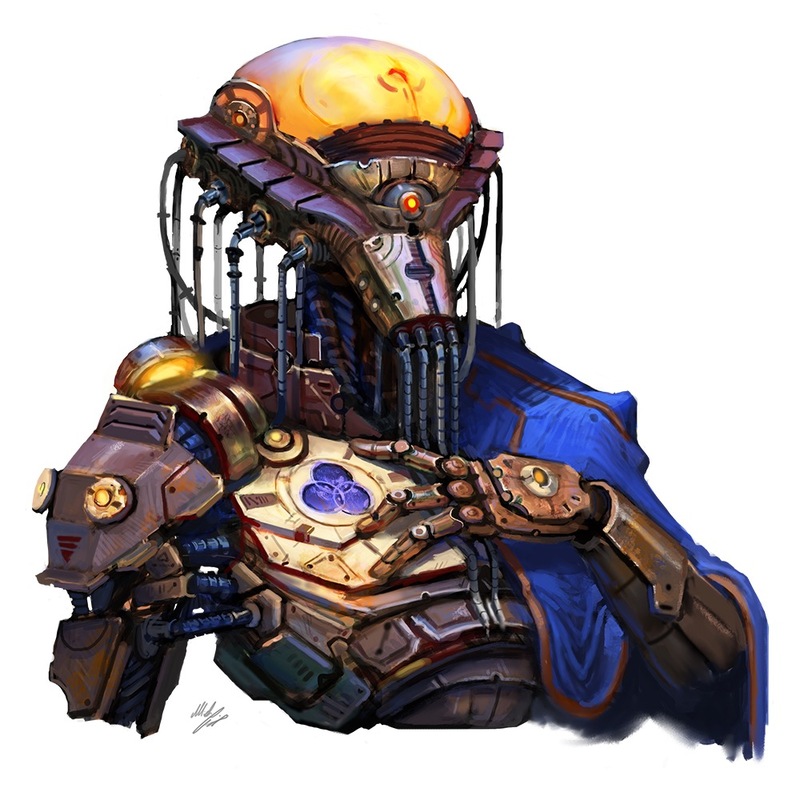 This scenario takes us back to Absalom Station at a lower level range and provides some additional introductory friendly content for newer Starfinder Society players. What I enjoyed most about this scenario is that Mara Lynn included scenes that really focus on the personal lives of some of Absalom Station's inhabitants and gives some really touching moments for the PCs to get involved in. Also, this scenario has some callbacks to previous scenarios, with a few fan-favorite NPCs making their return. I know that at least one of these NPCs is obvious, but I think players will be surprised to see a second (maybe) friendly face show up during this adventure. This scenario has no tags. Our second scenario (still getting used to that) is Starfinder Society #1-11: In Pursuit of the Scoured Past by Pathfinder Society veteran author, Cole Kronewitter. Cole's had some experience working with Hellknights, and when we decided this scenario was going to introduce some Hellknights into Starfinder Society, we knew that he'd be an excellent fit to write it! Along with Hellknights, this scenario also continues the ongoing narrative of the Year of Scoured Stars, and it acts as the second installment in our ongoing major story arc that started with Starfinder Society #1-05: The First Mandate. Finally, this scenario introduces a new locale that I really think encapsulates the theme of Science-Fantasy: the library world of Athaeum. I suspect scholarly PCs (and a certain scholarly ysoki who tags along with them) will find themselves overwhelmed by the specific information kept within the towers of this mysterious world. This scenario has the Faction (Second Seekers [Luwazi Elsebo]) tag and contributes to the ongoing year of the Scoured Stars storyline. Next month is looking to provide a similar spread of scenario types. First off, we have a new repeatable introductory scenario that includes starship combat. Next month's other release is the third part in the ongoing Scoured Stars storyline that also includes a very special starship encounter. Expect to see a preview post on these scenarios sometime in April. Next week, get ready to hear about our future plans for the Starfinder Society, when we unveil our Origins offerings and provide some further information on our first interactive special. Now, it's time for me to get back to work and work on some of our future scenarios! 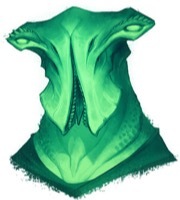 I'm the first to admit that when I first read the Starfinder Core Rulebook, I quirked an eyebrow at some of the environmental protections armor offers. Coming from other RPGs, it was clear that Starfinder had a different concept of what environmental hazards should challenge PCs. When it came time to outline Starfinder Society #1-08: Sanctuary of Drowned Delight, I discovered that Starfinder armor provided a plethora of opportunities for adventuring in environments often reserved for higher-level play in other games. So, despite being a Tier 3-6 scenario, this month's scenario is going underwater! Kate Baker makes her debut as an author for Organized Play with Sanctuary of Drowned Delight. Once I assigned the outline, Kate went to work at creating some truly unique creatures. The term "psychedelic walruses" soon became a common term when discussing this scenario. 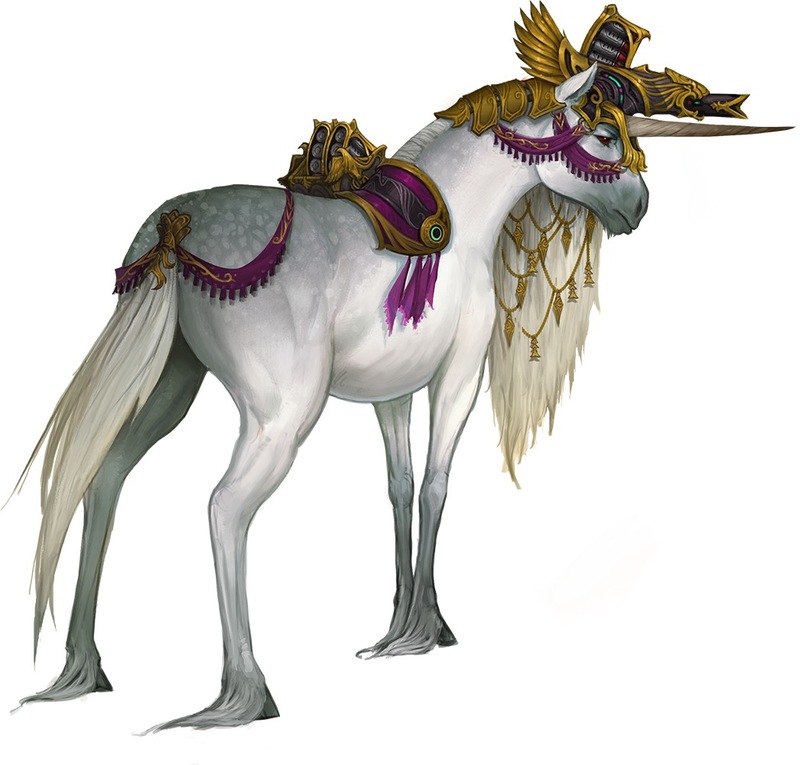 In fact, you can see one of these creatures (who prefer to be called morlamaws) in this blog post's attached art preview. 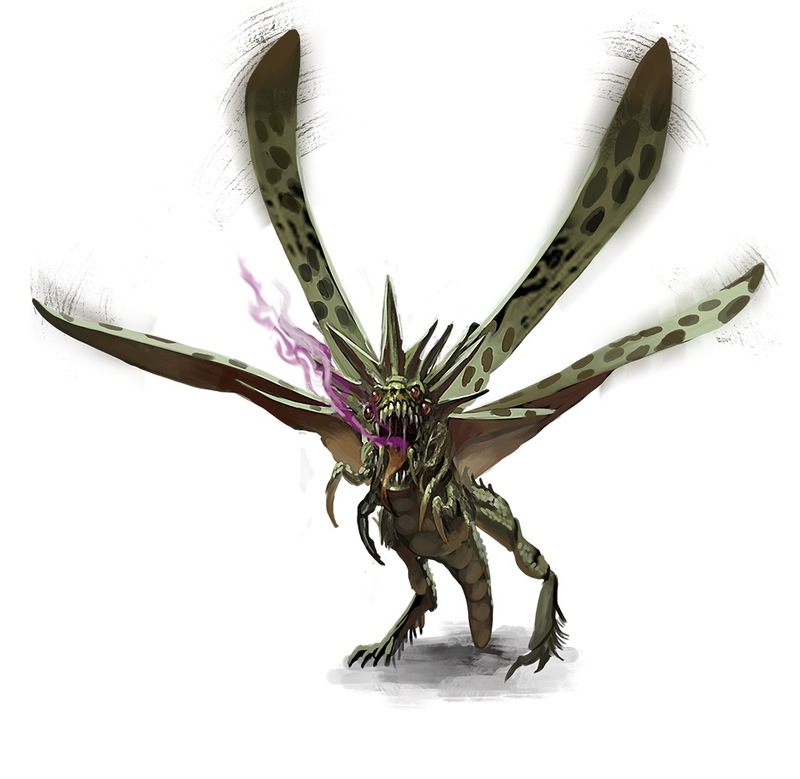 The morlamaws are an entirely new species debuting in this scenario—one of the cool avenues we can explore in Starfinder Society is the introduction of new species to the setting. I suspect players are going to enjoy the morlamaws quite a bit, if only because alien space walruses are pretty rad. I'm sure players will also enjoy morlamaws for other reasons... but you'll need to play this scenario to find out! This scenario uses the Faction (Wayfinders) scenario tag. While I'm still in the flurry of outlining summer scenarios, there's a lot of upcoming content to get excited for. Next month sees the hotly anticipated release of Starfinder Society #1-09: Live Exploration Extreme! by Organized Play's own, John Compton. Following that, we have the start of our two scenarios per month rollout, with Starfinder Society Roleplaying Guild Scenario #1-10: The Half-Alive Streets and Starfinder Society Roleplaying Guild Scenario #1-11: In Pursuit of the Scoured Past. 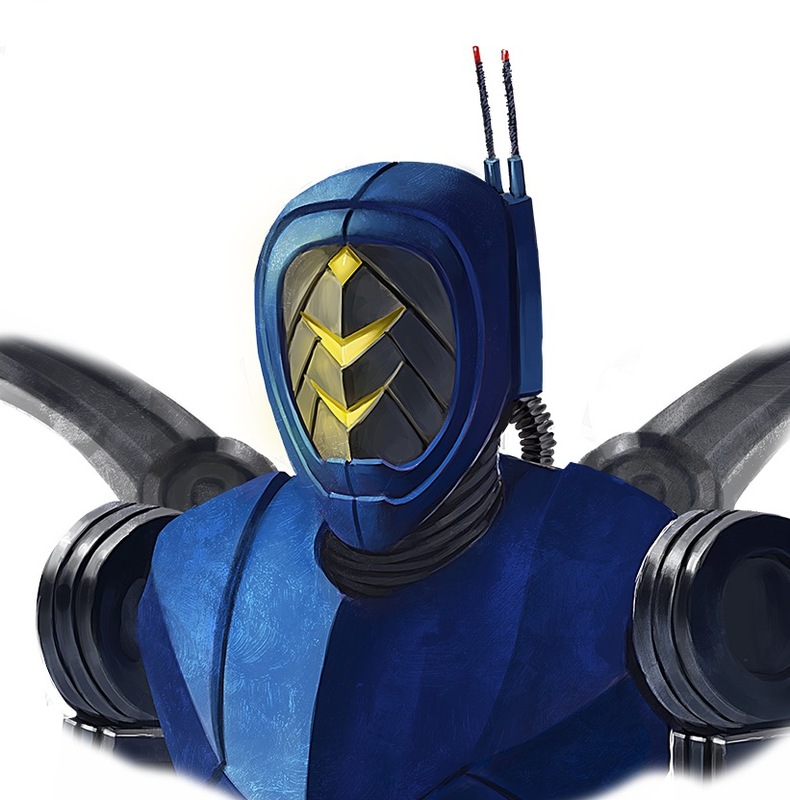 There's a whole lot of Starfinder Society coming up, so be sure to keep your eyes peeled on this blog for more updates! Back in mid-October, Starfinder Society Developer Thurston Hillman gave a sneak peak into Starfinder Alien Archive and the organized play team's plans to introduce more alien species as player character options. We put our heads together and developed the Mega-Region plan! Over the past weeks, we worked on implementing our idea, writing boons, developing regions, and identifying upcoming conventions running Starfinder Society. The only thing left is to announce the regions to our community. Please note, the Mega-Region is only a unit of accounting. It doesn't change anything about how our organized play volunteers are structured or the Regional Support programs. The first iteration of this plan will start with conventions this weekend. Sometime in March or April, we will rotate the boons around, so that each region has new rewards for their GMs. Future rotations will occur on roughly a 3-month timeframe, so that each region will get all the boons over the course of a year. When deciding how to handle the regions, we were left with our newest region, Online, as a bit of an oddity, as it encompasses all the physical regions. After putting their heads together, Thurston and John came up with a solution. Instead of being part of the rotation, they would get their own racial boons from a source other than the Alien Archive. In Thurston's words, "The online region gets something unique, while the value of physical regional boons won't be seem devalued by online availability. We think this is a good way to include the new online region in our program, and hope to review it in the future to see what other unique boons might be appropriate for distribution through our online region." 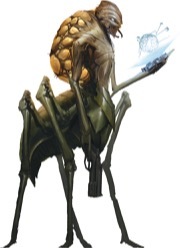 So Online will be Mega Region 5 and GMing a game online will open access to the Ferran & Woioko races, both of which are available Starfinder Adventure Path #2: Temple of the Twelve. Like the races in the Alien Archive, a player needs to own the resource and have the boon to play the race. When the team looked at the summer convention schedule and what spinning up new seasons on two organized play programs meant to our timelines (and sanity), we decided a split release would work better. So we went looking for an event that our players could get to, that had the size and scope of a premier event, and that would welcome the profile of a new season launch. Our choice is Origins Game Faire, June 13-17 at the Greater Columbus Convention Center in Columbus, Ohio. In past, the Ohio Pathfinder Society planned games at Origins. The same leadership team of Mike McNerney and associates will work with myself to bring you a quality, Paizo-sponsored event. Watch this space in early 2018 for the blog calling for GM volunteers. "Two is a pretty cool number. I hear a lot of people talking about two in recent months. Lots of questions and comments about the word two. What is two? What does two mean to you? The dictionary defines two as "equivalent to the sum of one and one." Did you know that two is the smallest and first prime number? Two is also the only even prime number. Did you know that a honeybee must tap TWO million flowers to make one pound of honey! There's just so many interesting and fun facts about the number two..."
As you may have guessed by Thurston's fixation on the number two, we are pleased to announce an increase to two Starfinder Scenarios a month, starting in March 2018. We are deep in plans for 2018, so I asked John and Thurston if we could give a few snippets of information about upcoming scenarios. In Thurston's words, "April sees the release of a new Tier 1-4 repeatable scenario. We've received great reviews on Starfinder Society #1-01: the Commencement, and knew we wanted to get another repeatable scenario out. As an added bonus, this scenario is also slated to include starship combat, making it a suitable teaching tool for players just learning Starfinder. June brings us the release of a new Quest Pack. This should help the summer conventions out by providing further introductory material for bringing in new Starfinder players. Our first Tier 5-8 scenario debuts in June. This scenario is the capstone for our ongoing Scoured Stars storyline, which began in Starfinder Society #1-05: The First Mandate, and continues until Origins. 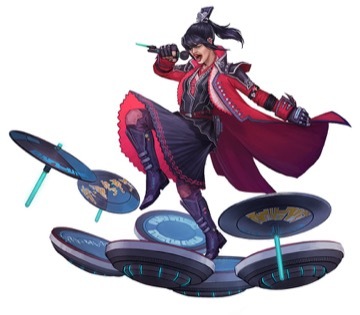 June (a popular month) also sees Starfinder Society debut its first interactive special, starting at Origins, with later appearances at Gen Con and conventions across the world. While this event is still being planned out, we are ready to announce that it will be a Tier 1-8 event! While June is popular, we also want people to know that PaizoCon 2018 is getting closer. This year not only debuts Starfinder Society events at the convention, but also debuts a very special product. Four words: Strawberry Machine Cake Scenario. On that note, and given I can't top Strawberry Machine Cake, I'm signing off for this week. With so much Starfinder Society goodness in this blog, we are going to take a break next week, and return on December 20th. Next week's blog will feature some upcoming Pathfinder Society tidbits, since we can't give the Starfinder Society all the shiny new toys! This month sees the Starfinder Society Roleplaying Guild release its first Tier 3-6 scenario: Starfinder Society #1-06: A Night in Nightarch. Adventure Path author and overall prolific freelancer, Mikko Kallio, stepped up to the plate to tackle this first foray into higher level Starfinder play. 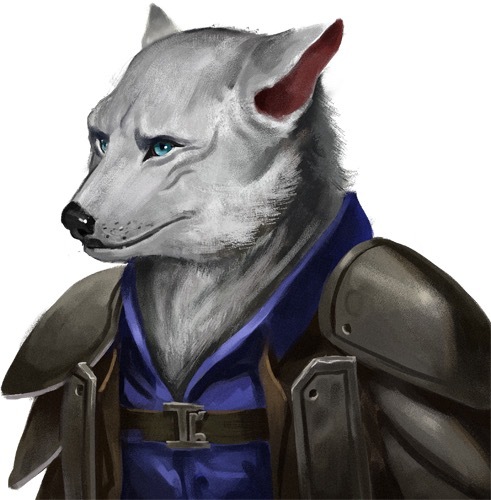 I had the pleasure of working alongside Mikko on the Ruins of Azlant and War for the Crown Adventure Paths, and I knew from that point that I wanted to bring him onboard for Starfinder Society. A Night in Nightarch, as the scenario name suggests, takes place in the drow settlement of Nightarch, on the distant world of Apostae. If you've had a chance to read Alien Archive, then you know that the drow have a strong presence on Apostae, where they've taken on a major role as weapon suppliers. 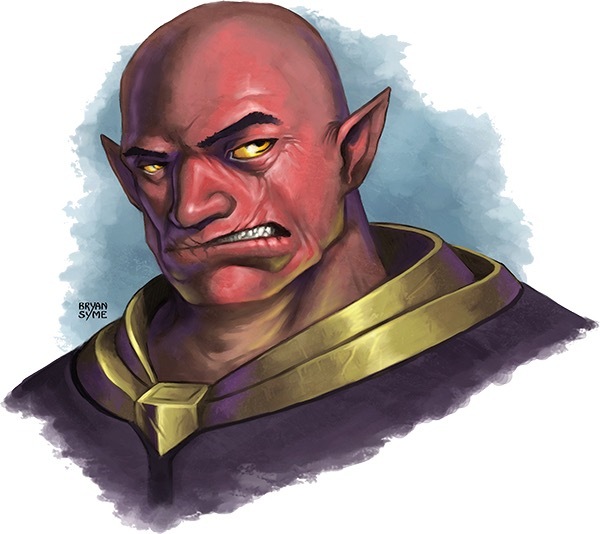 The crux of this month's scenario revolves around a standard business transaction gone awry; the Starfinder Society purchased a shipment of weapons from the drow, and now a petty rivalry between drow houses endangers that legitimate agreement. The drow offer the Starfinder Society 24 hours of diplomatic immunity to retrieve the stolen weapons shipment, and it's up to the PCs to accomplish this vital mission. Getting the Society's guns back will require a measure of guile and stealth... or a determined group of Starfinders willing to kick in the door and murder everything in their path. Mikko did an excellent job of giving the PCs options on how to tackle this dilemma. For groups that prefer a methodical planning approach, there are several benefits to doing so. For groups preferring the battle thrill of clearing out an entire complex of foes, well, there are certainly a lot of enemies to be cleared in this scenario! Finally, I'm eager to see the reaction to the Chronicle sheet associated with this scenario. We're trying something a bit different with this scenario, and following up on some promises we made from early in the Starfinder Society Roleplaying Guild's inception. So, please be sure to post your (spoiler tagged) thoughts on the forums! As a related note, this scenario has no special scenario tags. Come back next month, and be sure to bring your tinfoil conspiracy hats, when we preview our next scenario Starfinder Society #1-07: The Solar Sortie. This upcoming scenario is of extreme importance to the Dataphiles faction. The Starfinder Society Roleplaying Guild is kicking its campaign storyline into overdrive with this month's scenario, Starfinder Society Scenario #1-05: The First Mandate. This scenario is the first in an unofficial multi-part series of adventures that slowly peels back some of the mystery surrounding the Scoured Stars incident. Of course, any good mystery needs a strong cast, and this month's scenario also introduces several new important NPCs to the campaign. Fellow staffer and editor extraordinaire, Lyz Liddell, took up the challenge of writing this important scenario. She not only produced a strong story, but she also introduces us to a cast of unique characters that we will be seeing more of in future scenarios. 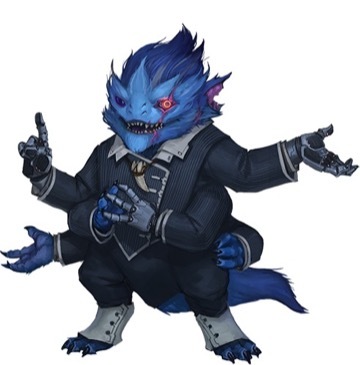 The First Mandate begins with the PCs attending an important gala, where First Seeker Luwazi Elsebo intends to announce the future mission of the Starfinder Society in the wake of achieving a significant recovery from the events of the Scoured Stars. Radaszam "the Dealmaker" stands beside Luwazi, offering the services of his private mercenaries and the Acquisitives faction in ensuring the announcement occurs off without incident. The art I'm including here showcases two of the major NPCs introduced in this adventure, but rest assured that there are several more. For veteran Pathfinder Society Roleplaying Guild participants out there, you'll note that The First Mandate takes a lot of cues from a well-known Pathfinder Society scenario, namely Pathfinder Society Scenario #4-09: The Blakros Matrimony. As the author of that venerable scenario (wow, I'm getting old) I obviously had reservations about passing this outline on to any freelancer, but I can safely say that Lyz did a fantastic job of bringing a scenario that incorporates social influence—and some other explosive encounters—to the far future! I suspect that players and GMs alike will start concocting all sorts of theories about the ongoing campaign storyline after playing this adventure. I also anticipate some "theory crafting" of the motivations for some of the new NPCs—especially our blue-skinned android displayed in this post. Along with my usual request of "please leave a review—they really do help," I also encourage our campaign participants to post their opinions in a spoiler-marked thread in the Starfinder Society boards. One of the things that the organized play team really enjoys seeing are some of the "conspiracy theories" regarding campaign storylines. I suspect this scenario will throw some gasoline onto that slowly growing fire of the Starfinder Society storylines. 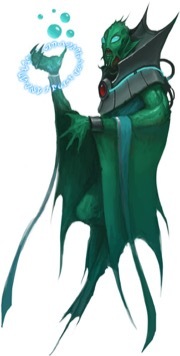 Come back next month, when we preview our next scenario Starfinder Society #1-06: A Night in Nightarch, our first scenario at Tier 3-6, and our first look at the nefarious drow of Apostae! With the Gen Con launch behind us, it's time to start jumping into our monthly scenario previews. I'm exceptionally excited to talk about Starfinder Society #1-04: Cries from the Drift. This is a scenario I think a lot of people (especially Exo-Guardians) will be talking about, as it includes several plot points we've only hinted at in our initial scenarios. Cries from the Drift tasks the PCs with investigating a distress beacon recently sold to the Starfinder Society by a salvaging barge—a starship the PCs possibly encountered in one of our launch scenarios. 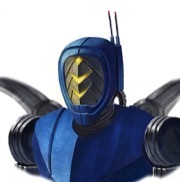 The beacon, and the ship it belongs to, has special importance to the Exo-Guardians faction. Specifically, it has ties to the lost Exo-Guardian base of operations. When planning our season scope, I knew that this scenario needed to include the above tags. When it came time to outlining the scenario, the more I fit the pieces together, the more I knew that the scenario would heavily involve a theme I have a particular love for: horror. Paizo's newest developer, Joe Pasini, did a fantastic job of putting together a terrifying starship for the PCs to explore. 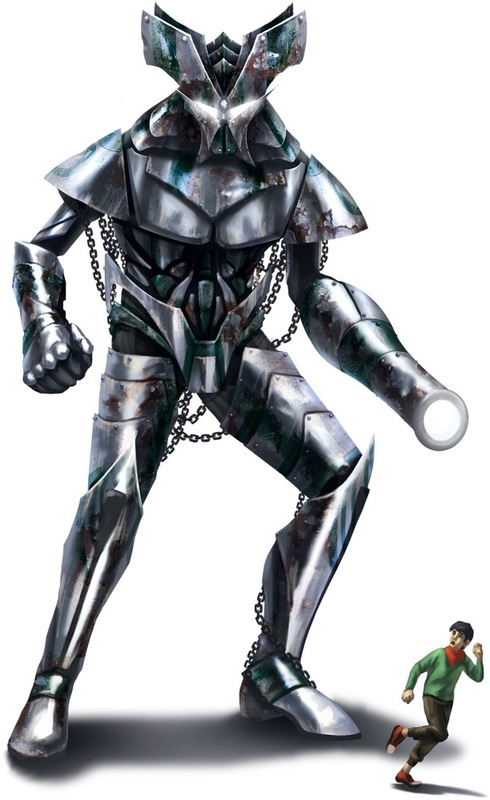 Along with that, he also adhered to my vehement request that we include Zigvigix and maintain the shirren faction leader's eternal optimism in the face of... well... awful and terrible things. And while Zigvigix does put on a good face during this scenario, I want to let people know that the storylines we are exploring include some pretty grim and dark (grimdark even) revelations for some our NPCs and factions. Oh, before I go. I realized there's an unofficial tag I forgot to associate with this scenario. Since it's unofficial, I'm going to put it behind a spoiler tag. I look forward to seeing everyone's reactions to Cries from the Drift, as well as any overall thoughts on our ongoing stories for the factions and Society. Come back next month, when we preview our next scenario Starfinder Society #1-05: The First Mandate, which combines faction missions for the Acquisitives and Second Seeker (Luwazi Elsebo), as well as being the first of our "Scoured Stars" major storyline adventures! 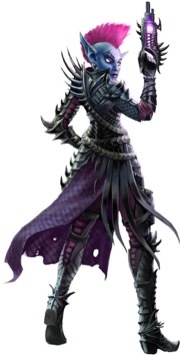 Gen Con's only about a week away—I'm sure my colleagues' fainting away is out of sheer excitement—and Paizo's organized play team is bringing a huge amount of new content to debut. It's too much to share all in one blog, so we're saving our six new scenarios (three Pathfinder Society and three Starfinder Society) for next week and starting off with our special events. 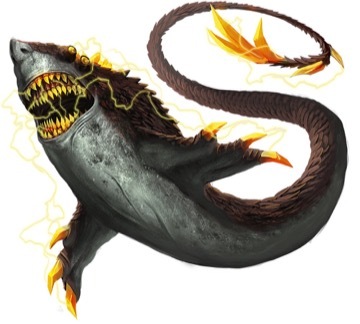 In our last Starfinder Society blog, you may have already heard a bit about Starfinder Society #01-00: Claim to Salvation, written by organized play veteran freelance author Larry Wilhelm. While this scenario acts as background to the eventual formation of the Acquisitives faction, it also serves to introduce the universe of Starfinder to a wide audience. Players take on the roles of our iconic Starfinder characters in their 4th-level iterations, showcasing some of the abilities and skills each class gets after a few levels of play. The special starts in the Pact Worlds and quickly moves into the unexplored reaches of space, getting into starship action, and eventually ending up on the false moon of Salvation's End. As you can see by the impressive artwork, Salvation's End is a pretty big location, and the PCs get their first look at it in our opening Starfinder Society special. One thing that really excites me, both as a developer and writer, are locations that can service multiple visits. Sufficed to say, Salvation's End is something we expect to regularly see in the Starfinder Society Roleplaying Guild campaign. We hope it develops into something like the Pathfinder Society Roleplaying Guild's own Gloomspires or Absalom Siege Castles. The first tables of Claim to Salvation open on Thursday evening, and I'm excited to see the result of Larry's stellar (bad pun) work. Before Claim to Salvation debuts, players have an opportunity to learn the Starfinder rules with Starfinder Society Roleplaying Guild Quest: Into the Unknown, by an author who probably doesn't need any introduction: Ron Lundeen. 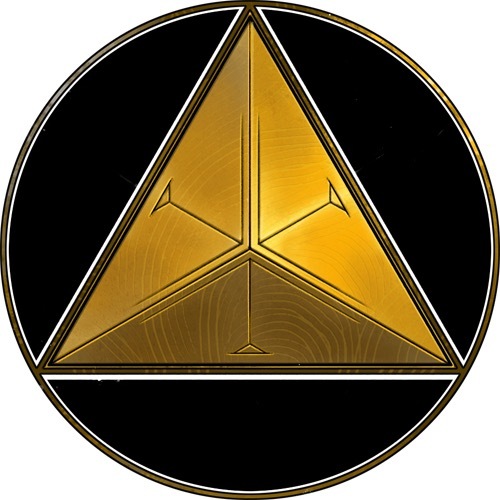 Ron's credits include too many adventure path installments to list and one of my favorite Pathfinder Society scenarios, Pathfinder Society Scenario #3-21: The Temple of Empyreal Enlightenment. After working with Ron on several projects, I knew I wanted him to tackle this very important introduction to Starfinder. I can honestly say that he knocked this quest pack out of the park—maybe into orbit... ok not that... oh, he knocked it to the Drift! Into the Unknown takes the PCs from Absalom Station out to the depths of space, but does so in a way that really showcases what it means to be a Starfinder Society field agent. This quest pack provides a cohesive narrative spaced over the course of five distinct quests, including two introductory starship combat encounters. I'm eager to see GMs across the world get a chance to run these quests and introduce players to the science fantasy setting of Starfinder! Multi-table interactive specials are something of a tradition at Gen Con, and this year's only difference is one of scope: we have two such specials. If you attended this year's PaizoCon, Origins, PaizoCon UK, or UK Games Expo, you've no doubt experienced Pathfinder Society Special #8-99: The Solstice Scar Version A by the talented Andrew Hoskins. We'll be running this excellent tale of museum curating gone tragically wrong on Saturday night. If you haven't heard, we'll be updating The Solstice Scar about twice a year to cycle in new content and advance the storyline. Gen Con 2017 marks not only the point at which you can start scheduling this for public events, but also celebrates the occasion by our running more than 180 tables of the adventure simultaneously. We're also debuting Pathfinder Society Special #9-00: Assault on Absalom by Mikko Kallio. For millennia, warlords of all stripes have dreamed of conquering the City at the Center of the World. These sieges are central to Absalom's history and remain a prominent archaeological scar on its surrounding lands. For the first time in decades, someone has dared to besiege the city, and unless the Society's ready to aid Absalom's defense, this familiar conqueror might succeed. Not only has Mikko done an excellent job of presenting an exciting adventure and incorporating Absalom's flavor, but we've also worked with Keith Richmond from Lone Shark to provide an Adventure Card Guild component. Join us on Friday night for the tremendous event! Absalom may never be the same, and we may be hearing the repercussions of this epic battle for months to come. It's gonna to be big—like, "towering battle golem with...is that a cannon arm?" big. And of course, you'll be able to find all of us either in the Sagamore Ballroom or at booth 103 in the exhibitor hall. Come by and say hello. 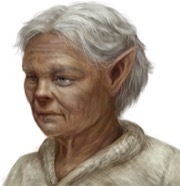 Also be sure to check back here next week, when Linda tells us about the upcoming Pathfinder Society scenarios.